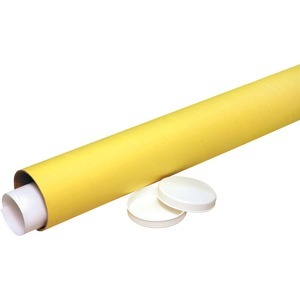 Strong fiberboard mailing tube is wrapped with yellow Kraft paper for mailing or storing documents. Snug plastic end plugs can be taped or stapled in place. Mailing tube is made with a high percentage of recycled material.